A Liverpool author who has written more than 10 best selling children's books and inspired thousands of School pupils across the City is preparing to celebrate 5 years in business. Jude Lennon, owner of 'Little Lamb Tales,' will hold a special event, at a local independent bookshop, 'Write Blend' in Waterloo, on 2 March 2019, to mark the occasion. Starting at 1pm, the free event will include:- storytelling, activities and cake. The 1st 20 children arriving will also receive a special:- 'Birthday Pack' of goodies from Jude. Later a private function will be held later the same day at:- All Hallows Church Hall, in Mossley Hill, from 6pm, to thank family, friends and local businesses which have supported the growth of:- 'Little Lamb Tales' over the years. Jude said:- "I'm delighted to be marking such an important business milestone with these two events. When I left teaching 5 years ago to follow my dream and set up a storytelling business I had no idea how much fun it would be. Equally, I think I totally underestimated how hard I would have to work as a small business owner. I love to write, be creative and share my passion for reading with children all over but that's only ½ the job. I have to work pretty hard behind the scenes too and as a sole trader I've had to develop a vast array of new skills from sales and marketing to accounting and public relations. I've learned many of these new skills through the Bizmums Networking Group and I have been overwhelmed by the continued encouragement I've received from other women in business. My business certainly would not be what it is today without the support of this wonderful network." Since establishing her business, Jude has published 13 books, including:- 2 Amazon number 1 bestsellers. 5 of the books are part of the:- 'Little Lamb Tales' series and feature the mascot Lamby. She has delivered author visits and storytelling sessions at more than 100 Schools and events across the City. She has appeared 5 times at the Southport Food and Drink Festival and this continues to be 1 of the highlights on Jude's storytelling calendar. 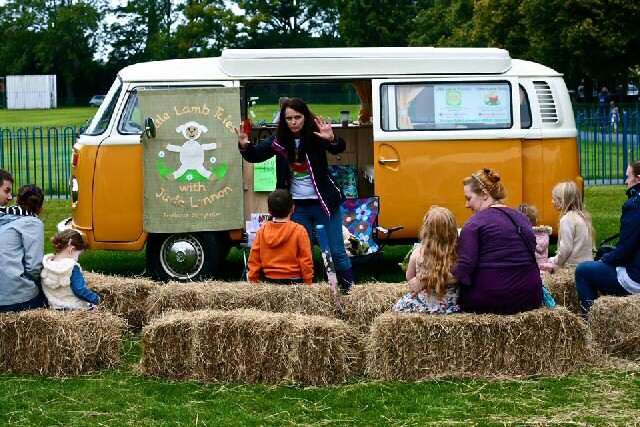 On 6 March 2019, it will be the official Anniversary of:- 'Little Lamb Tales,' and Jude will deliver a special storytelling session at:- Phoenix Primary School, South Liverpool. 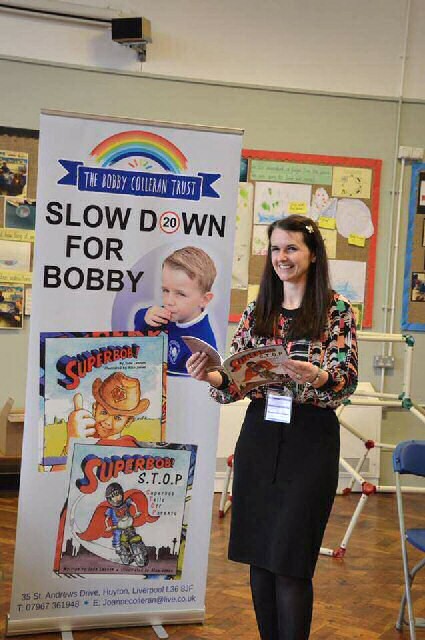 Jude said:- "I feel very honoured to be involved in the 'Slow Down For Bobby' campaign and so far the project has had a big impact in Schools. I'm also fortunate to have developed some great business partnerships over the last five years and to have met an incredible number of other talented authors." As well as running her storytelling business, Jude also works as the creative director for independent publisher:- 'Team Author UK,' which provides a range of publishing services to authors. Through this network, Jude runs writing courses and writing retreats for new and established writers. Jude has also worked alongside a number of organisations across the City, over the last 5 years, including:- Entrepreneur in Residence, at Liverpool Central Library, The Women's Org and Dream High. For more information about Jude's books, author visits and storytelling sessions visit you can visit her website or follow her on Facebook and on Twitter. ► Getting to know every child in the class... Teachers can take some time each week to learn a new fact about each child. They could give them a 'Knowing Me, Knowing You' card for them to fill in with something interesting about themselves, or as a space to share anything they are struggling with or worried about. Having 1 to 1 feedback on these (you could write a quick response on the back of the card and leave it in their tray, or take a child aside if necessary) or sharing a quick "Hey, I didn't know you love ostriches - they're my favourite animal too!" moment with a child can make them feel really valued and supported. ► Encouraging every child to have a voice... It's often the same children putting their hands up to answer a question. Teachers can use Flip Sticks to keep track of who you've asked a question and to encourage the whole class to take part in discussions. Another good method is to use:- 'Talk for Me Buddies' - a child discusses a question or problem with a partner who then feeds back what the 1st child has said to the rest of the class, and vice versa. This is great for children who want to share their ideas with the class, but who don't yet have the confidence to voice their own thoughts in a large group. ► Being playful and having fun... Play fosters creativity, collaboration and problem solving, all of which are important for good mental health. Teachers should make sure there is time in the timetable for children to play, whether it's a Maths game, a role play activity or a team building game to foster class relationships. ► Feelings and emotions: name it to tame it... This gives children and adults the language to describe how they are feeling. In the words of US child psychiatrist Dr Dan Siegel:- 'Name it to tame it.' Children need to be able to identify the emotions they are feeling in order to understand how to deal with what they are feeling. Teachers could display an Emotions Poster in the classroom and encourage children to refer to it throughout the day, or give them each an individual feelings monitor to encourage them to identify when they feel different emotions, and thereby how to deal with them. ► Taking a 'mood register' to check in with the feelings in the room... We recently asked some of our Facebook followers what they do in the to take the register. 1 response that we absolutely loved was to do a mood register. This involved children giving a number from 1 to 10 when answering their name in the register to show how they were feeling that day. The teacher can then follow up with any low scoring children later in the day for a private chat, and other children can be aware of how their peers are feeling, giving them the chance to offer encouragement and support. 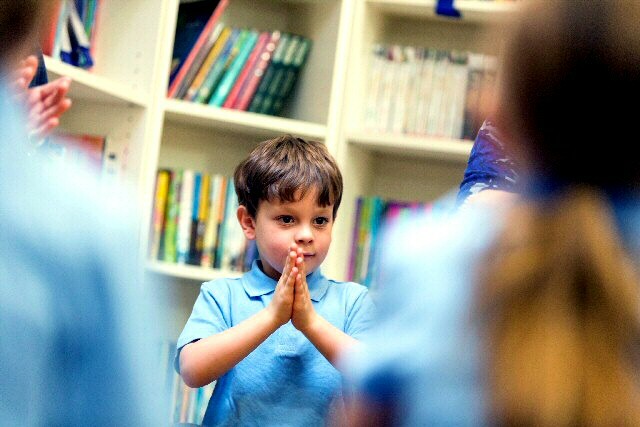 This is what this teacher said about how it was working in her classroom:- "It's amazing how, when you make talking about feelings and emotions the 'norm,' children feel totally safe and natural expressing how they feel." ► Creating an atmosphere where all feelings are allowed... It's important for children's feelings to have an appropriate outlet. Boundaries should be put in place around behaviours to keep everyone safe and strategies developed to help reinforce those boundaries. For example, children should know that they are allowed to feel happy, angry, sad or whatever other emotion they may be feeling, but that they are not allowed to bully or hit. 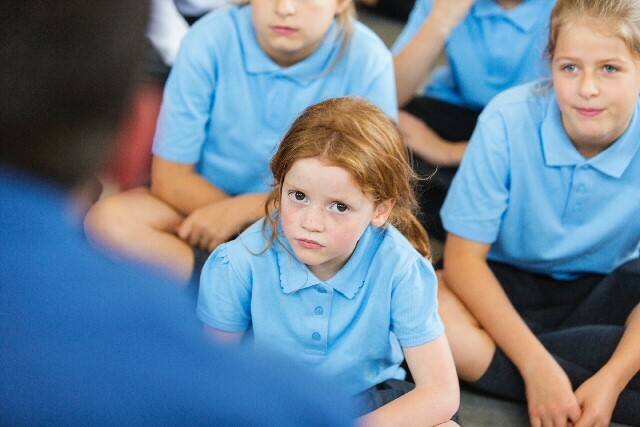 When addressing undesirable behaviour, it's good to help both the child concerned and the other children in the class to understand that there are appropriate and inappropriate ways of dealing with difficult emotions. Learning to identify these will come in time as the children are supported in identifying and accepting their feelings. ► Move on from a negative experience... Sometimes it's important to help children (and colleagues) to see past the latest disastrous playtime or bad lesson and focus instead on the bigger picture. Is a child frustrated because they didn't understand column subtraction straight away? Teachers can remind them of a time they struggled with, and overcame. Is this really any different? Do they really want to end the friendship with their best friend over the argument they had at playtime? ► Take learning outside and make it active... It rains a lot in Britain. But that doesn't mean that we should automatically discount the idea of making outside learning a regular occurrence. It doesn't have to mean traipsing around a forest looking for earthworms (although this kind of outdoor learning is extremely valuable, too). Exploring places of worship, streetscapes, architecture, local businesses, museums, galleries, parks and shopping centres all provide rich experiences that provide an immediately engaging environment and provide many opportunities for learning. ► Learn from fiction: discuss the feelings of book characters... It's a great opportunity to discuss the feelings and actions of the characters when children are read to. Is there a better way they could have reacted? What led up to the crisis point? Analysing the actions and reactions of characters in a number of stressful situations can support children in identifying how they themselves react in certain situations and how they might react more positively next time. It's also important to share stories that directly encourage empathy, sympathy and kindness in order to foster these traits in children. The Kindness Movement, for example, are giving away a free kindness book which can help kickstart your class in thinking about, and discussing, feelings. ► Keep it calm... Being able to calm down is a skill that needs to be practised (in some children more than others!). Embedding periods of calm into your classroom through simple activities, like this 1 from the Everyday Mental Health Classroom Resource website, will help children to feel safer and more peaceful, leading in turn to better learning.